Black velour and white spandex leotard with glitter lace sleeves. 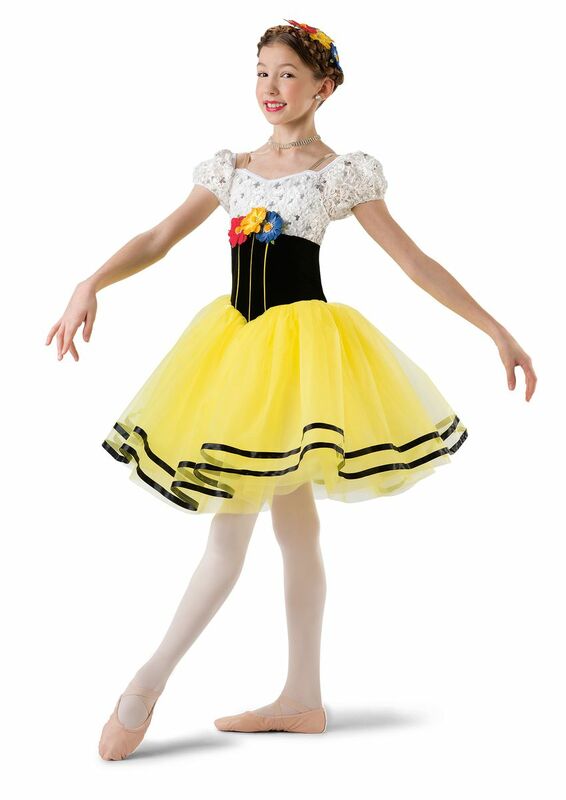 Attached white tricot euro tutu. Appliqué, beadette, ribbon, and lace trim. Made in the USA / Imported.